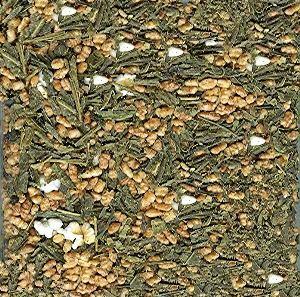 Japanese green tea Genmaicha is a combination of Bancha or sencha teas with roasted hulled rice. The roasted rice has a tendency to "pop" resembling small popcorn pieces. Light golden yellow liquor with unique toasty flavor tending to be sweet.